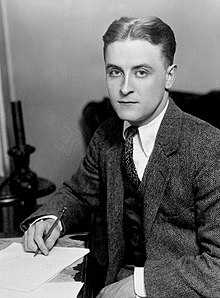 Jungle Red Writers: Another Side of--Scott Fitzgerald? HANK PHILLIPPI RYAN: Get a cup of tea or your favorite coffee. Pull up a chair, and carve out five minutes. Do you remember your first F. Scott Fitzgerald? How you realized there was something more to literature, a voice, a time, a glamor? And then you heard about Zelda, and the Jazz Age, and Gatsby, and the beautiful shirts? And thought about why Nick Carraway was named that, and what Scott’s life was really like, and whether it would have been amazing or tragic? Sally Koslow explored, absorbed, researched and recreated—and brings us—lucky us—a wonderful narrative biography into one part of Scott Fitzgerald’s life. The part about--well, let her introduce it. In 1937 Hollywood, gossip columnist Sheilah Graham’s star is on the rise, while literary wonder boy F. Scott Fitzgerald’s career is slowly drowning in booze. But the once-famous author, desperate to make money penning scripts for the silver screen, is charismatic enough to attract the gorgeous Miss Graham, a woman who exposes the secrets of others while carefully guarding her own. Like Fitzgerald’s hero Jay Gatsby, Graham has meticulously constructed a life far removed from the poverty of her childhood in London’s slums. And like Gatsby, the onetime guttersnipe learned early how to use her charms to become a hardworking success; she is feted and feared by both the movie studios and their luminaries. A notorious drunk famously married to the doomed Zelda, Fitzgerald fell hard for his “Shielah” (he never learned to spell her name), a shrewd yet softhearted woman—both a fool for love and nobody’s fool—who would stay with him and help revive his career until his tragic death three years later. Working from Sheilah’s memoirs, interviews, and letters, Sally Koslow revisits their scandalous love affair and Graham’s dramatic transformation in London, bringing Graham and Fitzgerald gloriously to life with the color, glitter, magic, and passion of 1930s Hollywood. Ready to hear more? Of course you are. And she’s giving away a copy of ANOTHER SIDE OF PARADISE to one lucky commenter! HANK: Is there anyone more famously romantic and literary and doomed than F. Scott Fitzgerald? How did you choose him for your book--and this aspect of his life in particular? SALLY KOSLOW: F. Scott Fitzgerald’s certainly tops the short list for lush writing, and in his private life, he was a true romantic, as well. The man had the ability to intensely focus on a woman. I chose to look at the final chapter of his life because it’s far less familiar than the fizzy, pink champagne, riding-on-the-top-of-taxis Jazz Age he shared with his wife, Zelda Fitzgerald. I found these later years with Sheilah Graham to be tender and touching, though this in no way suggests that he had stopped loving Zelda. Still, he adored and admired Sheilah. HANK: Do you think Sheilah Graham has faded from memory? What do you think about that? Is this his book, or her book, or their book? SALLY KOSLOW: Another Side of Paradise is more a novel about the woman who reinvented herself as “Sheilah Graham” than another F. Scott Fitzgerald rehash. Her tumultuous romance with Fitzgerald is central to her story, but there’s far more to it. Sheilah overcame poverty and hardship in England to succeed first as a performer, than a Fleet Street writer and later, one of the first Hollywood gossip reporters. 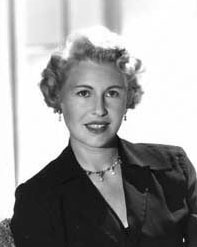 Though she’s not as familiar to today’s readers as her rivals, Hedda Hopper and Louella Parsons, that may be because Hopper was a notorious meanie who ruined reputations during the McCarthy period and Louella had the Hearst newspaper empire behind. For better or worse, Sheilah was an independent who stopped short of being cruel in her reporting. SALLY KOSLOW: Without spoiling the drama of the novel, let me simply say that while born into poverty and isolated in a Dickensian orphanage for ten years, Sheilah found the grit to reinvent herself, travel freely in high society and eventually become a legendary and powerful gossip columnist starting in Hollywood’s Golden Age and sticking with it for decades. She was far more than F. Scott Fitzgerald’s girlfriend. HANK: What do you think she would have been like today? How do you think their relationship would have been handled today? 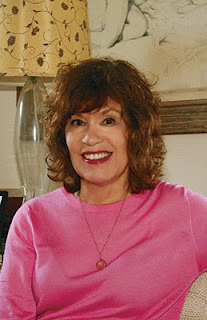 SALLY KOSLOW: During her lifetime, Sheilah moved from writing a widely syndicated newspaper column to radio to television, where she starred in her own celebrity talk show, paving the way for Barbara Walters, Oprah and many other television reporters. Today, I could imagine Sheilah doing a similar celebrity-oriented show on television along with embracing the Internet as a reporter or popular blogger. She was a hard-working, resilient professional who knew how to evolve. With respect to Sheilah and Scott’s relationship, now they would have been able to live openly together as a devoted couple. In the 1930s that wasn’t possible because the powerhouse film studios laid down the law, and forced couples to adhere to ridiculously Puritanical standards. HANK: Yes, it seems positively tame now! How and when did you first find her? You did such meticulous research--what was the letter, document, diary entry that first gave you chills? Do you remember? SALLY KOSLOW: As an English major, I’d seen passing references to “Sheilah Graham” in biographies and articles about F. Scott Fitzgerald but never paid attention to her. What got me digging was actually another author’s biographical novel about Fitzgerald’s later Hollywood years that was reviewed in the New Yorker, told from Scott’s point of view. I got curious about Sheilah, began researching and knew there was a book to be written. HANK: So--this book is a departure for you. Was it intimidating? I’ve also written a work of non-fiction called Slouching Toward Adulthood, about 20- and 30-somethings who take a while to land. When I discovered Sheilah’s story, however, I got the bug to write a biographical novel. A biographical novel requires a deep research because you want to build it on a factual skeleton so yes, it was intimidating, but also interesting. I could happily steal that phrase for my tombstone, and would like to think it applies to every book I’ve written! HANK: SO wonderful! And congratulations on your wild success. And Reds and readers, don’t you love this? What comes to mind when you think of Scott Fitzgerald? What was his first book you read? What did you think? And remember, a copy of Another Side of Paradise to one lucky commenter! Before writing books, Sally Koslow was the editor-in- chief of several magazines, including McCall's and Lifetime, which she launched, as well as an editor at Mademoiselle and Woman's Day. Sally has also taught creative writing at the Writing Institute of Sarah Lawrence College and various Manhattan venues. Her essays and articles have been published in many publications including The New York Times, the Boston Globe, other newspapers; dozens of magazines including O: The Oprah Magazine and More, and numerous websites and blogs. Congratulations, Sally . . . “Another Side of Paradise” sounds like an amazing story; I’m looking forward to reading it. I remember seeing Sheilah Graham on talk shows with Merv Griffin and Mike Douglas. I think “The Great Gatsby” was the first F. Scott Fitzgerald book that I read but I also really enjoyed the “Tales of the Jazz Age” stories . . . .
Oh, you remember seeing her? SO interesting! Oh, yes, I wish I had, too...but with adult eyes too, you know? Oh, I am looking forward to reading this! I've read lots of Fitzgerald--"Babylon Revisited" is my favorite--and find his clear prose so beautiful. I'm a little familiar with Sheilah Graham, so I'm your audience. Thank you for the fab interview, Hank and Sally. Yes, incredible writing..and when you read it as a kid, it's truly life changing. I remember This Side of Paradise, too. And of course Gatsby, which I have read a million times. And Tender is the Night. Ramona--so happy you want to read Another Side of Paradise. Enjoy! What a wonderful epitaph, Sally! And congratulations on getting Oprah's attention! I write historical novels with a real person in a supporting role, but I stick to my made-up characters for most of the action. ;^) I look forward to reading Another Side of Paradise. As for FSF? I don't think I've read any of his books, as shocking as that sounds. I suppose it's not too late to remedy the situation! Oh, fun Edith! Because now you get to, and as an adult! Let us know. Yeah, I LOVE that epitaph. Hope you'll read my book--and of course, F. Scott Fitzgerald, too. Welcome and kudos, Sally. I, who have read all of Tolstoy including WAR AND PEACE, have never read Fitzgerald, and I'm not sure why. But I think I'll start with your booi, ANOTHER SIDE OF PARADISE, and dive in. Getting on Oprah's list is a sure way to sales, and I wish you much good fortune, although it looks as if you've got it already! As a teenager, I clung to the words of Sheilah Graham, along with Hedda Hopper of the magnificent hats, entranced with Hollywood. I look forward to reading about her. Ann, so interesting that you remember Sheilah, too--how did you read or hear her? Welcome Sally! This book sounds amazing. And Oprah, wow! I can't imagine how hard it would be to as you say "build a novel on a factual skeleton." How do you know when you can veer away from the truth and begin to make the story up? OH, great question, Lucy. Because you'd always be afraid that someone who knew the real story would start emailing.. Since Another Side of Paradise is a novel, not a biography, I added dialogue and certain scenes that "felt" real. My goal was to convey the emotion of Sheilah and Scott' story, but I let history be my guide. Like so many English majors, my first Fitzgerald was THE GREAT GATSBY. Actually, I first read it in high school, but I didn't appreciate the tragedy of it until I studied it in college. Exactly--which is so wonderful, because the books stay the same, but we change. I find it fascinating to re-read classics as the years go by. As Hank says, we change, and see them differently. Wow! This should be good! Many, many years ago, probably before I was even a teen-ager I started to sneak read a book on my mother's bookshelves. Probably I didn't have to sneak it but something told me it really wasn't appropriate for me to read and I never did finish it. All I remember is it was about Sheilah Graham and there was a little scene where for whatever reason she peed on the upholstery of his car! Was she too embarrassed to say she needed a restroom? That certainly stuck with me -lesson learned -but most of the story must have gone right over my head! Judi--you're going to find that scene in my novel, too, though there's a LOT in it that you won't find in Sheilah's memoirs. Hank, I loved Marjorie Morningstar--my mom urged it on me. Would like to reread. Marjorie Morningstar opened my eyes to an entirely new world to me. Before I read it in high school I did not know a single Jewish person, for one thing, but the characters were so amazing and exotic to a Midwestern small town girl. And I became a lifelong fan of Herman Wouk, too. I'd also like to reread it. Yes, I am a huge Herman Wouk fan--did you know he's still alive? And I am rereading Marjorie Morningstar now, in fact--it's omniscient point of view, which is so odd--I didn't "remember " that, because I didn't have any idea about it! It's sharp, though, and very knowing. I think it was Beloved Infidel. Does that sound right? And probably my mother wouldn't have even cared if I read it. The only reading material she disapproved of were comic books! What was wrong with Archie and Unca Scrooge? Years later as I reading teacher I thought it was more important to be reading something enjoyable - literature could come later. Yes, the book you remember is "Beloved Infidel," its total taken from a poem of that name written for Sheilah Graham by FSF. Regarding Herman Wouk, who as Hank points out is indeed alive, the Price family who own Costco endowed a Jewish History chair in his name at the U of California in San Diego & my cousin Deborah is the professor who runs that dept. and has that position. Oh, my goodness..you bring tears to my eyes. We NEED to talk! He is my complete idol. Fascinating! I remember references to Sheilah Graham but enjoyed FSF's books and short stories as top drawer writing. "Bernice Bobs Her Hair", anyone? Yes, yes, I remember being baffled by that, for some reason I can't remember. Was it that...it wasn't really what it was about, and as a teenager, I thought it should be? DO you remember? FSF's stories go largely overlooked now but most were outstanding. I really like the sound of this book! And congrats on the 'Oprah' mention. My first Fitzgerald book was in high school - The Great Gatsby. It was much better for me than the Faulkner book we were assigned as well. Ha! I've been rather fascinated with the books published in the last few years that tell of these well known authors and other celebrities - in historical fiction. I can see that so much research is involved. Funny that he wasn't able to spell her name properly! Kay--FSF was no speller, and Sheilah's math was better than his, too. And aren't we all fascinated by the rich and famous, especially when they behave badly. Good thing he didn't have any kids. Ah, but FSF did have a kids--Scottie Fitzgerald, his daughter with Zelda. There are now grandchildren and great-grandchildren. Mahalo for writing this book and for making the invisible visible around two riveting and robust historical figures. Congratulations on making Oprah's book club spotlight, clearly a win-win good read all around! Thanks and mahalo to you! Sheilah looked like a young Barbara Stanwyck, didn't she? What an interesting woman, and such fun to explore in her own story. I can't wait to read this. I'm fascinated with that era, a Golden Age of so many artistically minded people, largely drawn together in Paris at one point. The Fitzgeralds, Hemingway, Gertrude Stein, Picasso, they were all contemporaries, and Midnight in Paris brilliantly brought them together. I saw that movie just a few days after I finished reading The Paris Wife, in which the Fitzgeralds also have supporting roles. I have read most of FSF's books, including the unfinished The Last Tycoon. (Which I just decided to reread). His work was so much more appealing to me than Hemingway's, which was so insistingly masculine. I felt that Fitzgerald had a fuller understanding of women, and was much more fascinated by the feminine and by man/woman relationships than Hemingway was. His female characters were so well formed and often tragic. Daisy, for instance, in The Great Gatsby. It seems as though the women in Scott's life influenced him greatly, and I look forward to exploring how Sheilah Graham did so. Oh, fascinating! I never understood the allure of Barbara Stanwyck--so funny. Congratulations! What a captivating and fascinating book which would be so enjoyable. This wonderful treasure is memorable. When I was in college I bought a boxed set of Fitzgerald's novels. I read The Great Gatsby, which depressed me. I don't remember if I read any of the others. I've been thinking of getting back to his books. Having just retired I now have more time for reading (sort of :-) and I can add his books to the tottering mountain of reading material that I told myself I would read after retiring! I do remember Sheilah Graham and seeing her on TV. I don't recall ever hearing about her connection to Fitzgerald. Sally, your book will be added to the pile! I remember reading a little about Sheilah Graham in a book on Old Hollywood; her story, in and of itself, sounds even more compelling than F. Scott Fitzgerald's, who had all the advantages of a moneyed upbringing: prep school, Princeton, and a wealthy socialite wife. I mean, yes, he was a genius writer. But Graham made a work of art out of her own life. My Mom has a book on Zelda when I was growing up that I tried to read, but not really understanding the background, I did not finish it, but what I did read was pretty sad and tragic. I read The Great Gatsby in high school and finally met Zelda's husband! I had not heard about F. Scott Fitzgerald's relationship with Sheilah Graham, but it sounds like an interesting and intense story, and I'm glad that you're written a book about it. Thanks for visiting Jungle Reds and sharing some background with us! Oh--I remember that book-- the title is Zelda, right? In fact, I think it's on the bookshelf in the other room! The cover all tattered and read. NIce. I will add that phrase to the list of great sayings for my tombstone as well!Congrats on your success! Thanks for this extremely interesting and thought provoking book. Impressive and unforgettable reading which I would love. Oooh, I can't wait to read this! What a fascinating premise, and time period. And congrats on the Oprah mention, Sally! I read Gatsby in high school and didn't much like it, although I think I realized that it was good writing. Then a few years later, I read Tender is the Night and The Other Side of Paradise and was blown away. I still have my copies--maybe time for a reread, but not until after I've read your book! Thx--hope you enjoy my novel. I probably read Gatsby in high school. I went on a FSF trip in college and read virtually everything he wrote, including the short stories. Yep. Bernice too! And I read a book or two about Zelda and was appropriately incensed that Scott would steal from her writings. I still love her description of hitting a fireplug with the car: de-intestined the car. I do remember Sheilah Graham from way back, mainly TV I think. How interesting that she could re-invent herself as thoroughly as Charlie Chaplin and Cary Grant did. I say hooray for her! There was a movie about her and Scott called Beloved Infidel. I don't know if it was accurate or not but it had some good actors in it. As for Gatsby, I don't think anyone will ever be able to make a movie of it that doesn't put me to sleep. The movie Beloved Infidel was only partly accurate. It left out, for example, that Sheilalh was Jewish, and she thought that Deborah Kerr and Gregory Peck were miscast as her and Scott. I say hooray for her, too. I'm not surprised. Look what Hollywood did to Cole Porter (Cary Grant?) and Tyrone Power's Jesse James. One of JJ's descendants saw the movie when it premiered and commented "he did ride a horse." It was about the only thing the movie got right! Oh, yes, Beloved Infidel! I forgot... And what a perfect title for the time. Wonder if it's still available? And, yeah, I'd complain, too, about being played by Deborah Kerr. :-) Sheesh. The review "dishy with a side of wry" is perfection! Take my money! Seriously, I love old Hollywood and scandal and when you add the literary element, I am all in. Congratulations, Sally. I am so looking forward to reading this book! I'm all in, too, with Hollywood and scandal. Thx, Jenn. "Another Side of Paradise" sounds fascinating! And congratulations on the Oprah mention. I believe "The Great Gatsby" is the only FSF book I have read, and like others have already said, I could tell it was well written but found it so very depressing. It feels like there's been a lot of mentions of it in the press the last few years and I have thought about going back to it and trying it through my late-middle-aged-adult eyes. But after reading all these comments, I may instead try one of his other works that some of you have mentioned. Oh, do!xoox ANd let us know.. Jungle Reds, you are my lunch date today -- and I am so happy to read this post! Love everything Fitzgerald, and have read and re-read everything, including Graham's "Beloved Infidel" can't wait to read this novel!! I read Fitzgerald's short stories in the summer, and love "Tender is the Night." When we lived in Maryland, I would go visit the graves of Zelda and Scott at St. Mary's in Rockville. Oh, so lovely, Denise Ann! They're together? Sally, I find this part of Fitzgerald's life fascinating (now that you've brought it to my attention). I am a big fan of looking at the lesser known or publicized parts of any story, be it a person or an event. So, I've, of course, added Another Side of Paradise to my TBR list and my Amazon wish list. I, also, added The Late, Lamented Molly Marx to the Amazon list. Oh, and congratulations on the Oprah shout-out, Sally. I think it takes more than one reading of The Great Gatsby to really appreciate it and understand all the metaphors and subtleties of it. And, I think it takes reading it at different ages in one's life, too, to "get it." I didn't think it was that great of a book in my first, young-self reading, but later readings brought a richer, deeper level to it. And, Hank, thank you for your "beautiful shirts" mention. My best memory about going to see the movie with Mia Farrow and Robert Redford and Sam Watterston was being with two of my male friends at the showing, and one of them afterwards did a mocking impression of Robert Redford and the shirts scene. Yes, good question, because you'd have to know about sentence structure, and favorite phrases, and all that. Maybe letters! And there's TV of Sheilah, of course.. I think I will reread "The Great Gatsby" after reading your book, of course. I first read FSF in high school and don't think I was ready for that heavy of a read. With the "wisdom" of age I will give it a go again. I am looking forward to "Another Side of Paradise!" AND THE WINNER IS: Judi! Email me via my website--and Sally will send you the book! Hurray! And thank you all for a wonderful day..see you tomorrow! Just so you know...there's a reason Samuel Craddock's cat is named Zelda. 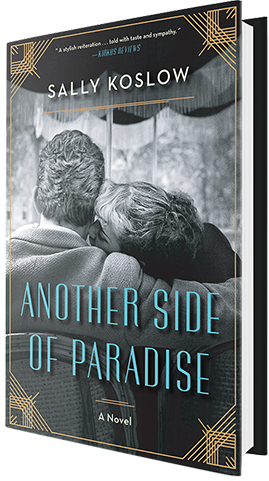 Sally Koslow’s new book ”Another Side of Paradise"sounds intriguing. Born in Montgomery, Alabama, I am an author My aunt, Sara Haardt, was a southern writer of fiction married to Baltimore critic H.L. Mencken. She was best friends with Zelda , and my father dated Zelda when they were teenagers. I have recently completed and anthology of six short stories by my Aunt Sara Haardt and six short stories that I have written.The stories are an interesting bridge between a century of two southern writers, with vignettes of misfits and their eccentric aunts, Spanish moss, and a flair for the outlandish quirks, captured as only Southerners can do.